De Kas is a truly unique restaurant, located in a series of renovated greenhouses in Frankendael Park dating from 1926. The 8-metre high glass conservatory provides great views over the park during the day and is beautifully lit at night. 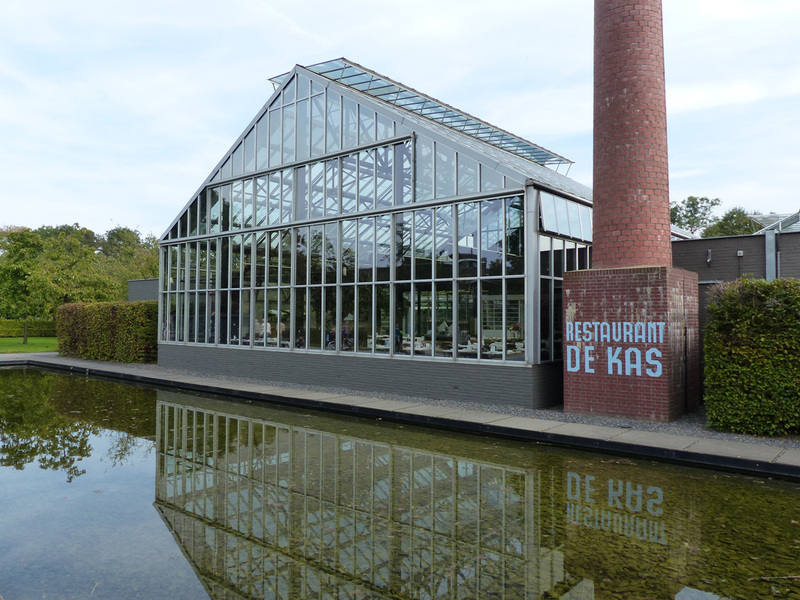 At De Kas, they take the ‘farm to table” concept to the highest level, serving only in season produce, that is literally grown on site, or at their nursery in the Beemster region just north of Amsterdam. For dinner De Kas creates one daily fixed menu, based on the harvest of locally sourced, completely organic ingredients. The food served at De Kas is delicious and surprising, the service friendly and professional. Their personable approach to dining, their authenticity, and the unique ambiance makes for a sublime dining experience!. 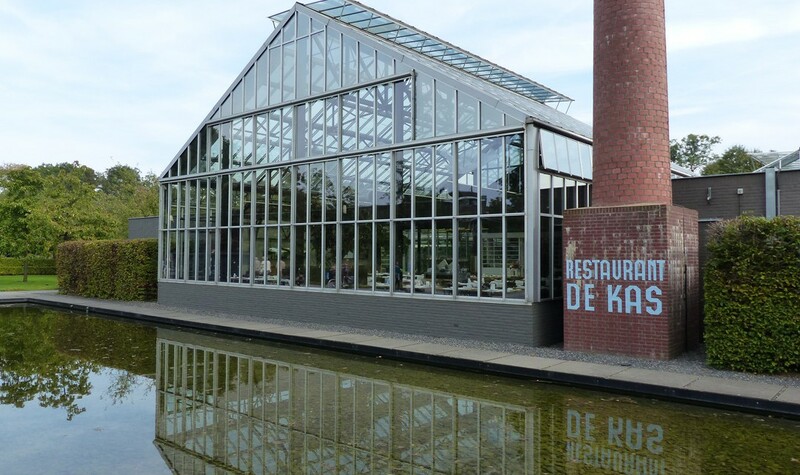 The 3-course dinner menu, that restaurant De Kas serves is a fixed menu and always consists of a selection of three small starters, followed by a main course and a dessert. 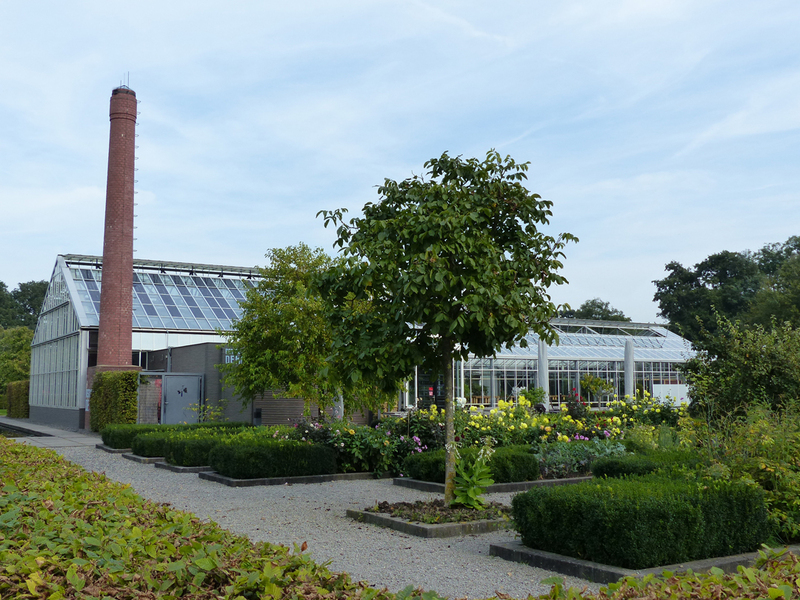 De Kas has its own greenhouses and garden near the restaurant where they grow their vegetables, herbs and edible flowers. The presentation of the food is simple yet stylish. The vegetable creations are served in combination with meat or fish. They also cater for vegetarians, with the chef only too happy to prepare a special vegetarian menu on request. For a truly special experience, reserve the chef’s table with a small group of friends. This table is set in the kitchen, so you can enjoy the action in the kitchen and watch the staff prepare their culinary specialities. The chef’s table package consists of a special chef’s menu with accompanying wines. Furthermore De Kas is happy to arrange special business lunches and can cater for special events, in their main restaurant space, as well as the separate and private Garden Room. Have a wander through the greenhouse before dinner. In Summer – weather permitting – lunch is served outside on the patio in the herb garden. On fine Summer evenings, aperitifs are also served outside, with dinner served inside. From May to October, guests are welcome to tour the nursery and garden. Additionally De Kas also offers workshops which are held in the field at their Beemster located nursery. 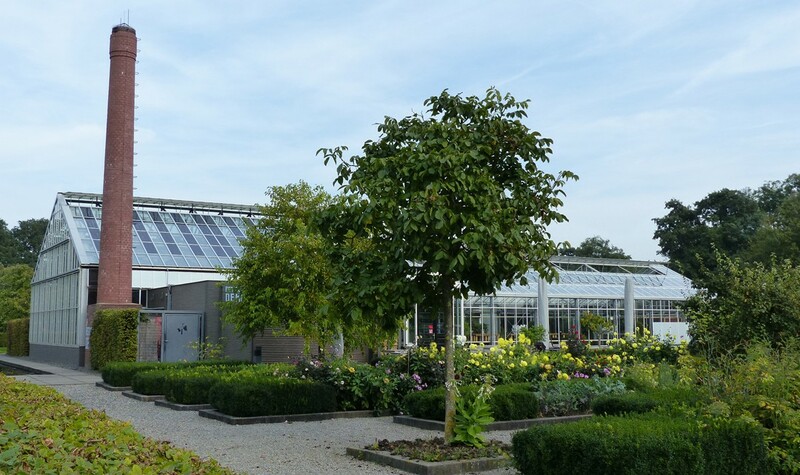 De Kas is completely focused on serving organic, seasonal produce, either grown in their own nursery and greenhouse or from sustainably certified local suppliers. We adore the creative and completely transparent approach to serving delicious, wholesome and yet sophisticated dishes in one of the most unique locations in Amsterdam.